At one point, Steve Jobs swore that a stylus would never be offered as one of Apple’s accessories. Despite such claims, the Apple Pencil made its way to market in November 2015 in conjunction with the iPad Pro. The Bluetooth-enabled device offered users new options and better capabilities for their creative works. However, a new patent granted to Apple shows that there is still more to come from the Apple Pencil. Although the filing for the patent dates back to 2011, it details some cool, new functions that may just make their way into the next version of the stylus. Granted this week, the patent (U.S. Patent No. 9,329,703 for an “Intelligent Stylus”) reveals some interesting additions to the stylus: interchangeable tips, additional sensors, and Touch ID integration as well. While the current version of the Apple Pencil can already distinguish between variations in pressure, swappable tips for the accessory could help to determine the type of stroke/line drawn. For instance, tips could be used to simulate brushes, pencils, pens, or other types of drawing instruments. The same would apply to an eraser on the Apple Pencil. If sensors were placed inside the non-writing end of the stylus, it could act like an eraser when contact is made with the screen. 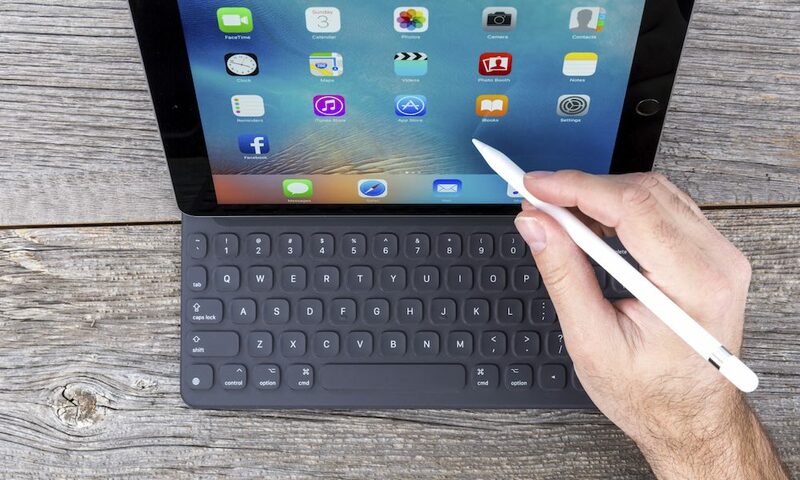 This would help reform the stylus into an all-purpose writing tool, and is a feature that iPad Pro users have been desperately seeking. Touch ID is also a possibility with the stylus. According to the patent, incorporating Touch ID would help tie Apple Pencils to users and their accessories. 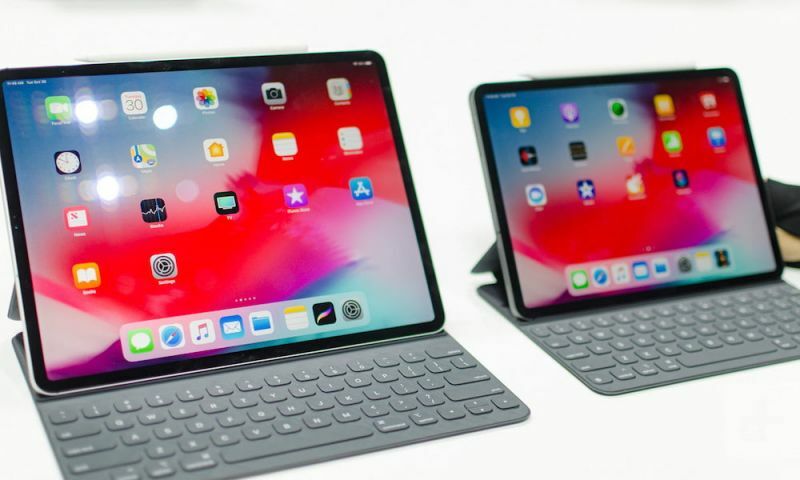 Currently, the stylus has no way of telling one apart from another when used in conjunction on an iPad Pro, which could cause from frustration when multiple users are trying to collaborate on a project on one tablet. But with these new tech advances, each Apple Pencil would be given a unique ID number alongside Touch ID, which could help prevent unauthorized use. As with most patents filed by Apple, we are unsure as to whether these advancements will appear in a new Apple Pencil model or whether they will simply remain in Apple’s vast patent filings for future use. Have you used an Apple Pencil? Let us know what you think about the device in the comments below!